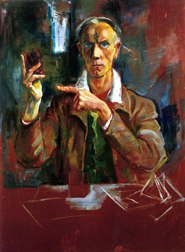 The Pasadena Society of Artists is one of the original organizations of professional artists in the San Gabriel Valley. 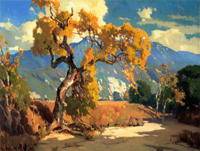 With its well known arts and crafts tradition and the Arroyo School of painting, Pasadena attracted artists from all over the United States and Europe. In 1924, George Hale and Ernest Batchelder founded the Pasadena Art Institute, which later became the Pasadena Art Museum. They set up the Institute in the house at Carmelita Park at the corner of Orange Grove Avenue and Colorado Street. In its heyday, the Institute was a meeting place for artists, writers, intellectuals, and scientists. According to the Pasadena Evening Post, Thursday March 5, 1925, Benjamin Brown, the "dean of Pasadena painters" sent out a notice to local artists requesting their "presence ... to discuss the organization of a Society of local artists." The preliminary meeting, held March 4, 1925, was attended by the following artists: Benjamin C. Brown, Edward B. Butler, Maud Daggett, Mrs. DeForest Merwin, Louis Hovey Sharp, F. Carl Smith, Orrin A. White, Wallace De Wolff, and Frederick Zimmerman. 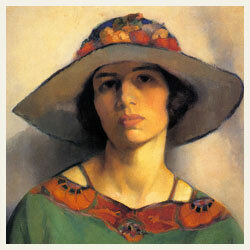 The consensus was that "A Society should be formed and that it should be called The Pasadena Society of Artists". 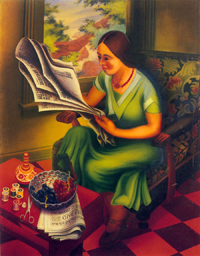 One of the stated purposes for the organization was "to provide a place for exhibition for Pasadena's artists". By stating "The standard will be high and only work of real merit will be accepted", the founders established the criteria for membership and for the work that would be exhibited. The Pasadena Star News, April 4, 1925, reported: "Approximately, 40 artists and sculptors have works on view at the first annual exhibition of Pasadena artists, which is sponsored by the Pasadena Society of Artists.... The entire gallery has been given over to this local group by the Pasadena Art Institute; nearly 100 art works on canvas or in sculpture are included in the display, which is one of the most comprehensive which has been held in the Park House this season." For the last ninety-three years the Society has continued the tradition of an annual Juried exhibition, maintaining throughout its history a consistently high degree of quality and diversity of style and medium. In addition to the Annual Exhibition, the Society maintains a vigorous schedule of other exhibitions each year, including several community charity and arts events. With the exception of the new members' exhibition, which is juried by PSA jurors, all other exhibitions are juried by outside experts. The exhibitions take place in galleries, libraries, museums and other public buildings. The founders set up the concept of professionalism for the organization and also the idea of community service. They began by helping with exhibitions for the Pasadena Art Institute at Carmelita Park and continued to supply volunteers throughout the history of the Pasadena Art Institute/Pasadena Art Museum. The Society has always had an ongoing series of public programs, art lectures and painting demonstrations. Other very important civic involvements included the international exhibitions sponsored by the Sister City Committee, as part of the "People to People" program in the 1960s. 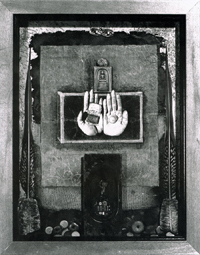 Pasadena Society of Artists sent exhibitions to Mishima and Shizuoka, Japan and to Ludwigshafen, Germany. Dr. Thomas Leavitt, former director of the Pasadena Art Museum, aptly described the position held by the Society in local cultural life when he said, "The men and women whose names appear as members belong to one of the strongest artistic organizations on the West Coast. The Pasadena Society of Artists, unlike many comparable groups, has maintained an adventurous forward looking policy, encouraging new members and new ideas...." His description is still valid today.  Pasadena Society of Artists began with fifteen charter members. Today's membership includes over 125 artists. 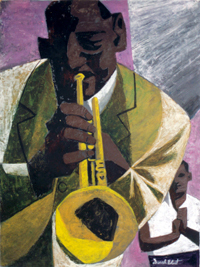 Excerpted and edited from The Pasadena Society of Artists Diamond Jubilee Exhibition Catalog complied by Jae Carmichael.